This convenient guitar hanger attaches to any base stand with standard M20 threading (base must be able to support the weight of hanger and instrument). 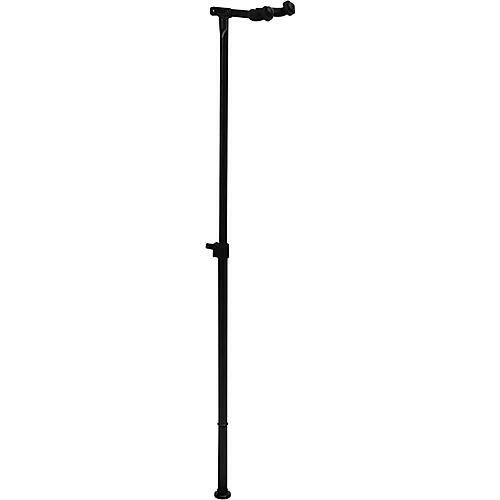 This means you can convert or re-purpose an extra microphone stand base, or add a guitar hanger to the GPA1003 Utility Stand for Pedal Board – The perfect all in one solution for tight spaces. The GPA7155’s height easily adjusts with an ergonomic cat’s-eye knob to accommodate for different sizes and styles of guitars and basses. Rubber end pieces keep your guitar from sliding off but won’t harm your instrument’s finish.